Drones are lovely toys for kids. Kids just love remote-controlled toys. Remote controlled cars are fun, but a remote-controlled drone which can fly high up in the sky and is fast is a whole new fun to the kids. That’s why if you are a dad and your child wants to fly a drone you have a serious problem. You can’t just give your kid a most expensive drone and let it fly around. Bad things may happen. The best scenario will be if just drone gets crashed. The worst-case scenario will be if someone gets injured or there is done tremendous damage to other people’s property. Some drones are just not meant for fun. But thankfully we have drones that even little kids can fly. Without any further ado, here is the list of our favorite drones for kids. There is a huge 70% off sale at Amazon for this drone. Click here to find out more! The Eachine E010 is a nano drone, but this nano drone has propeller protectors that are not removable. Durable propeller protectors guarantee the durability of this drone. 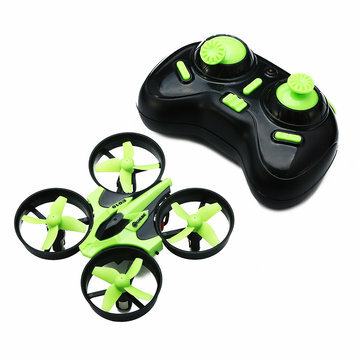 Remote controller for this drone is also simple to use, and even the little ones will not have a problem with navigating this small drone. Eachine E010 even have a one key return button which you can just press and drone will come home. This kind of features is handy when things go bad, like bad weather or you just lose orientation or controls of the drone. Then you just press the one key return button, and the drone will fly on its own back to you. This little drone is ideal for kids to have fun indoors. Pico is so small that even if you crash it into someone, it will not cause severe damage. But still kids should be careful with flying it, let them learn to be responsible when flying and maybe later when they grow up, they can fly a bigger drone. SKEYE Pico is also ideal because of its price. Price for Pico is extremely small, and if kids destroy this little drone, there will be no massive damage to your pocket. I would not recommend flying this little drone outside because even a little wind will blow it away and you will probably lose the drone. 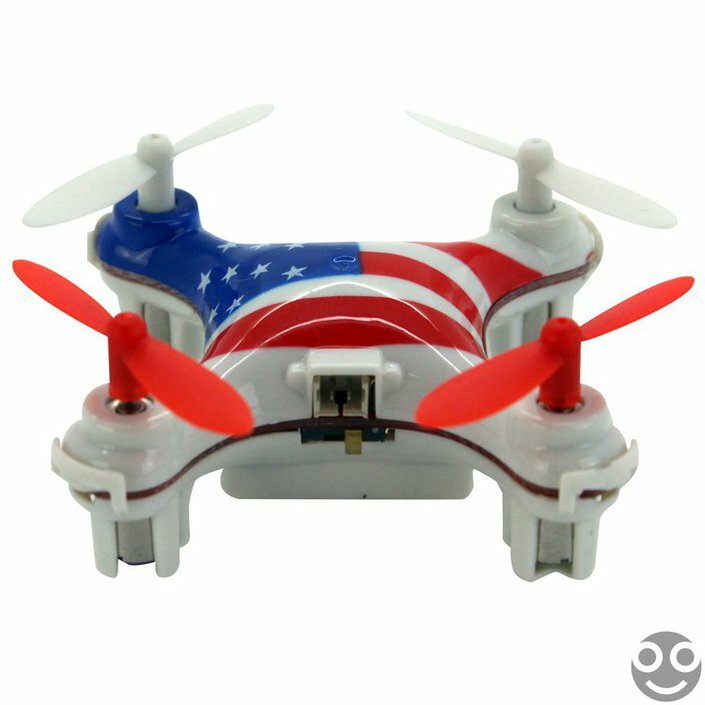 The WLToys V676 is a little drone is best to be used indoors. It is another small drone which can lose control if a high winds blow. Indoors your kids can have 4-5 minutes of flying time per battery charge. Drone is of the little size which means no damage will be done to the furniture. That kind of features makes WLToys V676 one of the ideal solutions for kids. WLToys is specialized for building remote-controlled toys for children. The Holy Stone HS170 drone is the best fit for young adults. The size of this drone is not small like the size of the other drones mentioned before. But HS170 has some extra features that allow it to be used outside and because of that is an ideal solution for young adults who have some experience at flying drones and are looking to expand their skills. Flying time of this amazing drone is up to 8 minutes, and operating range is around 50 meters. These features are enough for having a decent fun flying this drone around the block. The Blade Inductix is a very solid and reliable drone. But I am not recommending it for little ones because after all, this drone costs a bit more than few coins. This drone is very agile and fast. The durability of this drone is high and breaking it is not easy. Drone is also beginner friendly because navigation is not a problem. It is extremely responsive and stable. The only problem with this drone is that it cost almost twice as much as the previously mentioned drones. Whatever you choose as a present for your loved ones, remember, responsibility is the key. If you have a kid that is responsible, you can leave him to fly the drone on its own, but if your child never flies a drone before it is best, you stay close and monitor the flight. Whatever drone you choose from the drones mentioned above you will not go wrong. All of them can be used indoors, but only HS170 and Blade Inductrix can be used outdoors without serious troubles of high blowing winds. This article was written by guest writer Dadaas. If you would also like to guest post and have your opinion seen by thousands of drone enthusiasts then please visit our contact page.